Sandra of Fresh Ink Books told me in 2009 that she would send me a copy of her poetry book, and it finally arrived this week. It didn’t make the previous Mailbox Monday, but it will be in next week’s edition. I was so happy to see my copy, which she signed to me, that I decided to read it right away. The Tree It Was by Sandra Fuhringer is the 15th book in Marco Fraticelli’s Hexagram Series based on the ideographs of the I Ching and is published by King’s Road Press. Her hexagram is The Source or The Well, “which represents the deep, inexhaustible, divinely centered source of nourishment and meaning for humanity.” The Book of Changes is a divination system or later a cosmology system that espouses the dynamics of balance (i.e. yin and yang) and the inevitability of change. Furhinger’s haiku certainly reflect change and the struggle with maintaining balance. First, the expansive white space surrounding each haiku provides readers a moment of pause between haiku, allowing them to visualize each one’s images and absorb its meaning. The collection begins with a haiku demonstrating the hidden strength in even those of us who are perceived as weak, pushing through even the most difficult circumstances. In a way, the first haiku demonstrates that each of us has a well of strength from which we can draw at any time. Fuhringer’s poems bring to light our embarrassments, our fears, and our pain with the shrill sounds of ambulances and the coloring of pictures by children. Others have a surreal quality to them, like a patient on morphine or under other treatments that leave them dissociated from their bodies. Not all of these poems worked as traditional haiku with surprising last lines, but a majority of the collection is near perfect. About midway through the collection, the traditional form of haiku is modified as the poet seeks to draw immediate attention to juxtapositions within her words — such as Hiroshima pulled downward from the “h” in kittyhawk. The poet’s narrator is The Tree It Was, and you can’t help but think that the narrator is Sandra Fuhringer in her most raw moments. 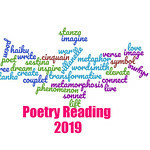 Many poets have personal connections to their poems, but how many can say that their poems are an embodiment of their daily struggles while simultaneously providing the strength they need to continue fighting? This slim chapbook is a testament to The Well of the I Ching, and Fuhringer should be applauded for broadening the spirit of the Book of Changes into Western culture. Also reviewed by one of my favorite short form online literary magazines, LYNX (please scroll down the page in the link). This is my 19th book for the Fearless Poetry Exploration Reading Challenge. This is my 35th book for the 2011 New Authors Reading Challenge. Wow! How cool to learn more about Sandra’s poetry! I have to confess that I’ll need to learn more The Well of the I Ching to understand it fully. I’m glad you enjoyed the review and look at her poems even without knowing much about The Well of the I Ching. What a generous review Serena, thank you. I’m glad you enjoyed it. Great collection. I didn’t know Sandra was a published poet! How cool! Sounds like she really made the haiku form her own. Glad you enjoyed it. I really did like it…you’ll have to check it out. I think you’d like it. I knew Sandra was really smart, but I had no idea she’s written a book of poetry. I’m glad to see it’s as good as I would expect. I really enjoyed it…I just wish there were more poems in it.